In May 2010, a reporter that was attempting to videotape proceedings was forcibly removed from a Marine Life Protection Act (MLPA) North Coast Regional Stakeholder Group work session. MLPA staff then reversed their ban on videotaping and audio recording at future sessions. However, the move has not eased tensions between those tied to the planning process for new Marine Protected Areas off the California coast (where fishing will be off limits) and sport anglers who advocate retaining open fishing areas. On May 28, United Anglers of Southern California (UASC) and the Partnership for Sustainable Oceans, who have opposed the direction MLPA’s appointed Blue Ribbon Task Force appears to be heading, filed a suit against the task force and the MLPA Science Advisory Team, claiming they have violated the California Records Act. “It has become more and more evident that the MLPA process is being steered off course by special interests — and political motivations — with dangerous potential for restricting many popular areas enjoyed by fishermen and other outdoor enthusiasts,” said UASC president Steven Fukuto, in a prepared statement. “Our legal team has identified several potential causes for action, and we will aggressively pursue any and all legal avenues to protect recreational access for fishermen, and all Californians,” Fukuto added. According to the UASC, the suit is tied to the Blue Ribbon Task Force’s and Science Advisory Team’s failure to respond to requests made by Fletcher for documents and records relevant to the MLPA implementation process. The verified petition for writ of mandate and complaint seeks declaratory and injunctive relief. Under the California Public Records Act, the public has the right of access to information that is in the possession of state and local agencies. By law, public records are open to inspection at all times during office hours of state or local agencies, except for those that are exempt from disclosure by express provisions of the law. California’s Bagley-Keene Open Meeting Act of 1967 requires that “meetings of public bodies and the writings of public officials and agencies shall be open to public scrutiny” and requires open meetings for all California state agencies, boards and commissions. Its purpose is to mandate accountability and transparency of government activities and to protect the rights of citizens to participate in state government. 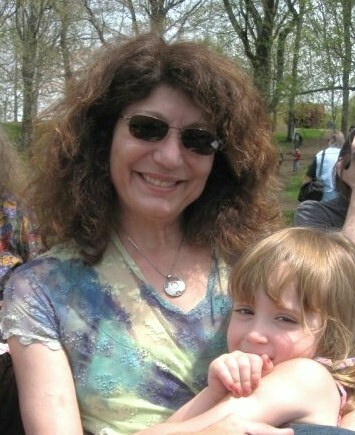 However, MLPA’s staff has long stated that its work sessions do not qualify as “public meetings,” as the MLPA initiative process is privately funded through a unique public-private partnership. When a Fort Bragg journalist was forcibly removed from a North Coast Regional Stakeholder Group work session after refusing to stop videotaping, claiming California’s open meetings laws gave him the right to cover the event, there was public uproar — and a protest from United Anglers of Southern California. According to MLPA staff, members of the media and the public were permitted to attend work sessions but were not permitted to make comments, take photos or make recordings of any kind. The rule was put into place to create a “safe space” for individuals to speak openly and toss out ideas, according to staff. The change in policy has not changed UASC’s mind about the openness of the process. The organization has cited various instances where decisions were made during Science Advisory Team meetings. One occurred in 2009 when “persistent kelp” was mentioned — a subject that UASC said no one but perhaps team members understood. The classification of “persistent kelp” reduced the amount of kelp used in scientific guidelines that the Science Advisory Team uses to evaluate habitat replication. At the time, stakeholder groups were not provided enough time to fully understand what it meant or how it applied, according to UASC. Others argue that the process is anything but open. Months of planning and revising Option 2, an alternative for the South Coast Region that would implement the fewest fishing closures, were wasted, many participants in the process said, when the Blue Ribbon Task Force threw out the options recommended by stakeholders and instead developed its own preferred plan — the IPA. 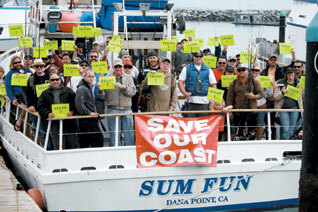 If approved, the plan will close approximately 400 square miles of ocean off the Southern California coast to fishing. However, Wiseman argues that anglers’ time was not wasted and their input was not thrown out. The resulting plan created by the Blue Ribbon Task Force was a blend of all three stakeholder proposals, Wiseman said. Greg Schem, who served as a member of the South Coast Region Blue Ribbon Task Force and currently sits on the Blue Ribbon Task Force for the North Coast Region, said the process invites everyone to the table. Every proposal made by varied interested groups, information provided by the Science Advisory Team and the Blue Ribbon Task Force is open to public comment. Schem said he is an angler who joined the process two years ago, so he understands where other anglers are coming from — but he said he also understands that fishing closures are necessary as marine resources continue to degrade. “I don’t like closures either, but I recognize this is a necessity,” said Schem, president and chief executive officer of Harbor Real Estate Group, a firm specializing in marina and waterfront real estate investments — including a marina, fuel dock and boat- yard in Marina del Rey. “It is not a question of how do we not close anything, but a question of how do we close areas while still preserving adequate areas for consumptive users, and provide protected areas that will allow this network of MLPAs to operate as scientists anticipated,” Schem said. Closing specific fishing areas was especially difficult since everyone has a favorite spot, Schem said. These emotional ties made it difficult for many to compromise on closures, he added. The Fish and Game Commission will vote on the plan for Southern California’s MLPA closure areas this summer and plans to finalize and implement new Marine Protected Areas by the end of the year. The study region includes the area extending from Point Conception to the California/Mexico border. The North Coast Regional Stakeholder Group is in the early stages of drafting alternatives for establishing Marine Protected Areas in Northern California. The group will work with the Blue Ribbon Task Force, the Science Advisory Team and staff to evaluate existing Marine Protected Areas within the North Coast study region. The study region extends from the California/Oregon border to Alder Creek in Mendocino County. The planning process is expected to be completed in December 2010. For more information on MLPAs, visit dfg.ca.gov. “Consensus” isn’t a word that comes to mind with the Marine Life Protection Act, Mendocino County branch. Consider a Monday night meeting in Fort Bragg, where fishermen, seaweeders and enviros convened at St. Micheal’s Episcopal Church to do one thing: figure out which areas along the Mendocino Coast to “protect” — that is, which coastline to turn into no-take reserves and protected areas that limit or block fishing and harvesting, as required under MLPA. This process, of course, has been mired in conflict. Fishermen, seafood harvesters and other critics have called the science behind those protected zones — which the state says should be about nine square miles every 30 to 60 miles — bogus. They’ve described the process as an unfair, underfunded burden on communities, as obfuscatory and hostile to public input. 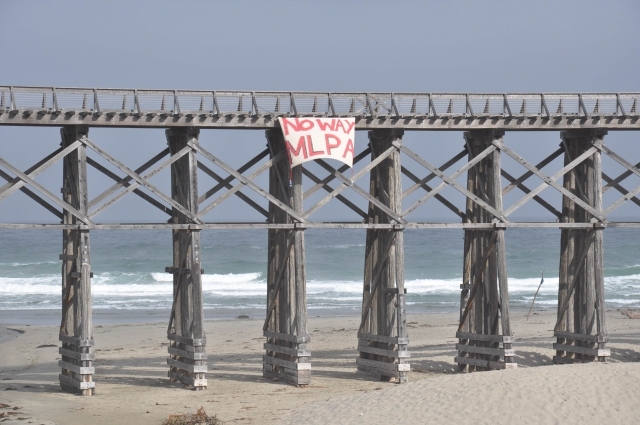 Some have described the entire premise of MLPA as, at best, misguided and, at worst, a conspiracy to wrest control of California’s coast. On the flip side, enviros say the process has been transparent, and the protected areas are necessary to safeguard against overfishing and other harmful activities. 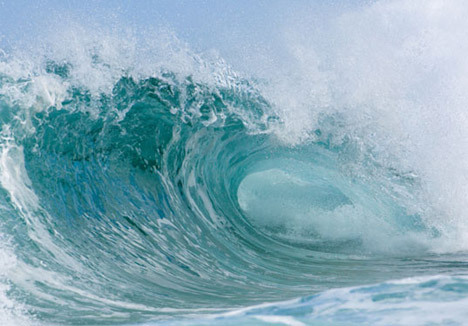 Del Norte has done just fine in deciding which parts of its coast to protect. Humboldt has slogged through. Then there’s Mendocino, which, let’s just say, has had a few problems. It was about about two and a half hours into the Monday meeting when the mood soured. Bill Lemos, a local teacher who’s working with National Resources Defense Council (or “Big Green,” as MLPA foes call it) and Conservation First!, had, using a computer model map and projector, just cataloged all the areas he thought suitable for protection — areas near Cape Vizcaino and Pt. Cabrillo, among others. A group of fishermen from the Salmon Trollers Marketing Association weren’t having it. Until now, most of them had, well, been fishing, and unable to attend any of the create-your-own map meetings that recently began, said Ben Platt, a salmon and crab fisherman. No longer. Were the state to implement one of Lemos’s suggestions near Usal Beach, he said, they’d lose 80% of their crab. Another debate followed — one that shows how bewildering the process is: Just how much coastline does the state require that the North Coast region set aside in order to comply with MLPA rules? And just how important is that rule anyway? According to Dave Wright, a recreational fisherman, it’s not a top priority. Even though there’s not a strict number, for the next echelon of scientists to even consider the map of protected coastline — the one that’s due in under a week — 15% of the North Coast should be protected, he said, adding that even that would be on the low end. In other parts of the California coast where MLPA has been implemented, between 16% and 22% of coastline has been turned into reserves and protected areas. “I don’t know,” Lemos said. And that’s pretty much where the meeting ended — almost an hour past the scheduled end time, with no apparent compromise and no single, unified map. Which gives Mendocino’s many coastal stakeholders even less time. If they don’t pull an all-nighter between now and next Monday and come up with that map, several maps will have to be submitted to begin the slow slog through the MLPA bureaucracy toward the final destination: a blue-ribbon panel appointed by the state, and the Department of Fish and Game, which the MLPA is officially part of. With that last-gasp, non-public effort just days away, Jeanine Pfeiffer, the UC Davis scientist who’s been moderating the discussions, had a stern warning to Mendocino’s enviros: “If we fail to protect our cultural heritage — which in this region means small-scale fisheries, coastal towns and Native American tribes — if we fail to protect our cultural heritage with the same passion and attention as our biological heritage, then we’re not doing our best,” she said. The powerful earthquake that rocked the seabed off the Northern California coast near Eureka on Saturday underscores the complexity of seismic dangers within the Earth’s crust, and is likely to be followed by a large aftershock this week – but it is not expected to exceed the 6.5 magnitude of the temblor that was felt as far away as Reno, scientists said Sunday. A “probability report” from the U.S. Geological Survey said there is a 65% chance for a “strong and possibly damaging aftershock” from the temblor in the next seven days. As many as 90 weaker aftershocks are expected to be felt in local communities, the report said, but it’s not probable any will be larger than Saturday’s mainshock. More than 20 smaller aftershocks – some with magnitudes larger than 4 – churned the seabed throughout the day Sunday. Although Californians are most conscious of the quakes that constantly hit the San Andreas Fault Zone, where its many offshoots include the dangerous Rodgers Creek and Hayward faults, offshore quakes are extremely common. Saturday’s quake was unrelated to the San Andreas, but struck within the southern end of an offshore geological feature of the Earth’s crust called the Gorda Plate, according to David Oppenheimer, a seismologist with the Geological Survey’s main research center in Menlo Park. Scientists have long known that the entire crust of the Earth is composed of vast crustal plates that are constantly in slow movement. The familiar San Andreas Zone, for example, marks the boundary between the huge Pacific Plate and the North American Plate, and when these two plates suddenly slip after building up pressure grinding past each other, potentially deadly quakes are the result. The Gorda Plate, with its eastern edge along the coasts of California and Oregon, is a much smaller slab of the crust, and above it lies a far larger segment of the crust called the Juan de Fuca Plate that extends along the coast well north of Seattle and Vancouver Island. The San Andreas Fault’s northern end veers sharply west at Point Arena in Mendocino County, and there the fault is known as the Mendocino Fracture Zone. That area – the most seismically active in the continental United States – marks the southern edge of the Gorda Plate and the boundary between the Gorda and Pacific plates. “It’s a highly complex region,” Oppenheimer said, “and the convergence of all these plates has generated earthquakes of many types. Saturday’s powerful temblor was known as a “strike-slip” quake, where the convergence of the Pacific and Gorda plates caused one side to slip past the other. The Gorda and Juan de Fuca plates, however, form part of an offshore crustal segment called the Cascadia Subduction Zone where the huge slabs dip deep beneath the North American Plate and can cause truly giant quakes every few hundred years. Those quakes actually are the tectonic forces that have raised the volcanic Cascade Mountains, including – in California – Mounts Shasta and Lassen. Saturday’s offshore quake struck 18 miles deep within the Gorda Plate, in an area very close to the epicenters of two large aftershocks that followed a magnitude 7.1 earthquake on land near Petrolia and Cape Mendocino on April 25, 1992. Those two aftershocks, centered 16 miles offshore and within the Gorda Plate’s southern edge, registered magnitudes of 6.6 and 6.7. They were very similar, Oppenheimer said, to Saturday’s 6.5 magnitude mainshock – which struck at 39 seconds past 4:27 p.m., 23 miles northwest of Ferndale and 29 miles southwest of Eureka.